Have you ever had a design idea that you absolutely cannot get out of your mind? I have a serious obsession with picture gallery walls. Maybe it's the fact that we have so many pictures that do not have their proper frame and place or maybe the fact that picture gallery walls in my mind make a home so cozy and individualistic because pictures are so personal. 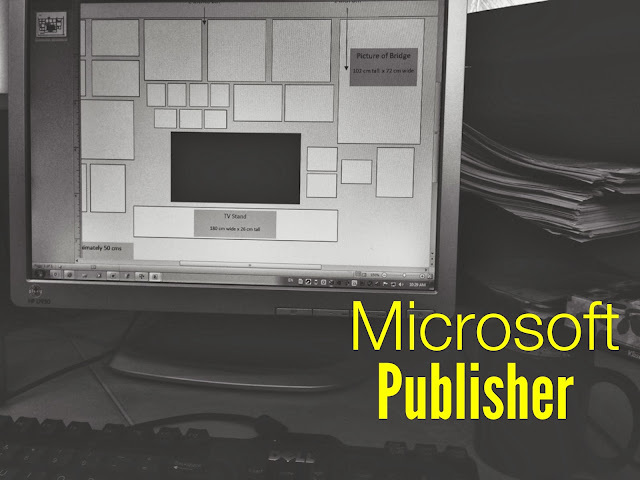 There are many programs designed specifically to help with design projects, however this time Microsoft Publisher was used as it came with our home program and it did work excellently for this particular project. 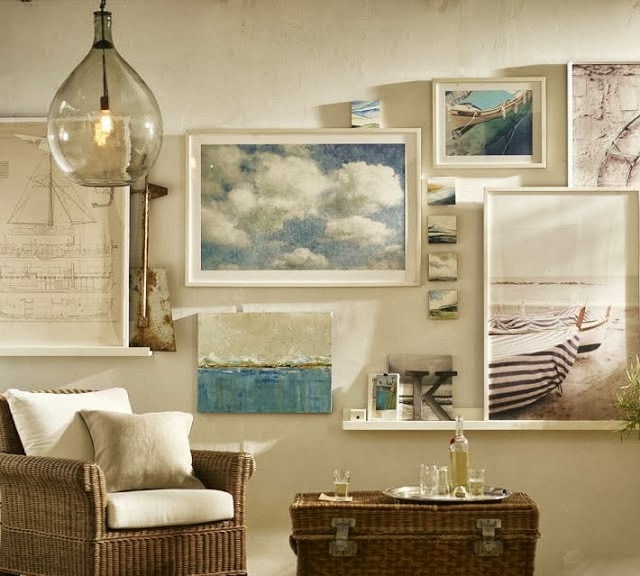 By fitting to scale the measurements of the room and each frame, a visual picture of what the gallery wall would eventually look like was achieved. After some discussions with my husband and a few adjustments to the initial rendering, we decided to design the gallery wall so that lines always meet up, this keeps the eye moving and offers a streamlined, non-cluttered appearance. 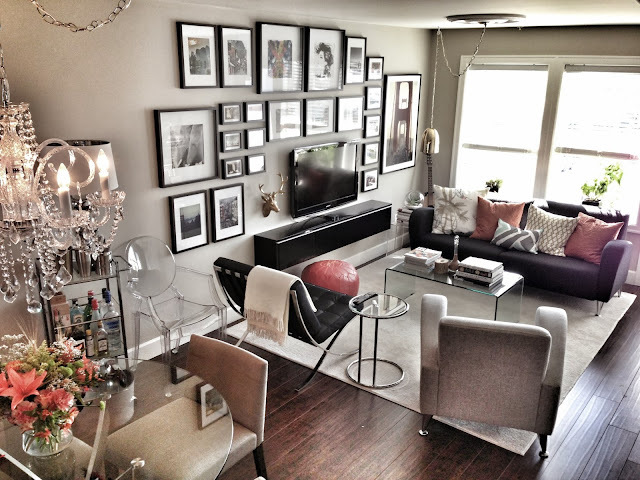 We purchased all our frames from IKEA and as you can see, we used all the same frames so that there would be a cohesive look in our living area. By starting from the centre-highest picture, work your way through the pictures. 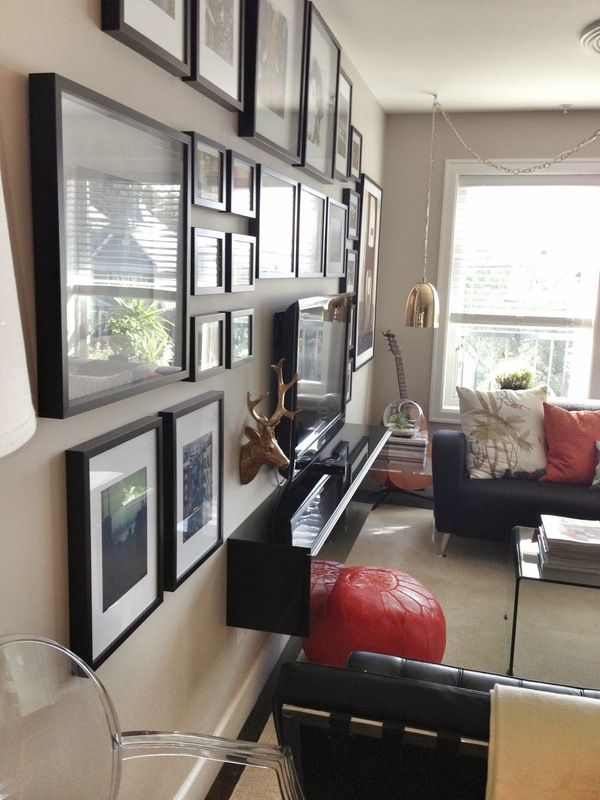 Make sure to level between each picture so that the frames are lined up accurately. When you have so many frames going on, and you want to make them as straight as possible, the leveller will be your saving grace! I love how the gallery wall seriously lengthens our living area now.